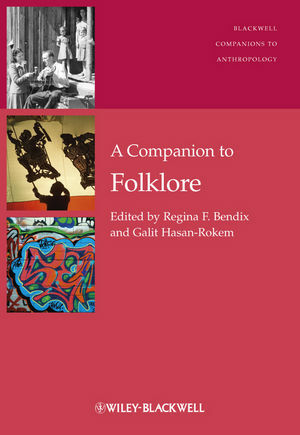 A Companion to Folklore presents an original and comprehensive collection of essays from international experts in the field of folklore studies. Unprecedented in depth and scope, this state-of-the-art collection uniquely displays the vitality of folklore research across the globe. Regina Bendix is Professor of Cultural Anthropology/European Ethnology at Georg-August-University in Göttingen, Germany. She is the author of In Search of Authenticity, and has co-edited Prädikat Heritage (with Dorothee Hemme and Markus Tauschek), Cultural Property: Forschungsperspektiven (with Kilian Bizer and Stefan Groth), and Culture and Property (Special Issue of Ethnologia Europaea, co-edited with Valdimar Hafstein). Galit Hasan-Rokem is Max and Margarethe Grunwald Professor of Folklore, and Professor of Hebrew Literature at the Mandel Institute of Jewish Studies at the Hebrew University of Jerusalem. She is the author of Web of Life: Folklore and Midrash in Rabbinic Literature, and Tales of the Neighborhood: Jewish Narrative Dialogues in Late Antiquity. She is a published poet in Hebrew and translation and has co-edited The Defiant Muse: Hebrew Feminist Poems from Antiquity to the Present: A Bilingual Anthology (with Shirley Kaufman and Tamar Hess).